Is RecoverYES a 12-Step program? No. 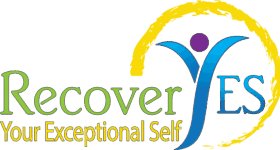 12-Step programs primarily look at the spiritual dimension of recovery, whereas the RecoverYES addiction recovery philosophy is more comprehensive and in-depth. We look at spiritual, physical, emotional and mental aspects of recovery. However, if you’re comfortable with a 12-Step program, RecoverYES can be used to complement it and aid your recovery. Remember, there is no wrong way to recover. Our belief is that recovery is a uniquely individual experience and there are many roads to a successful recovery. ← Is RecoverYES a 12-Step program?